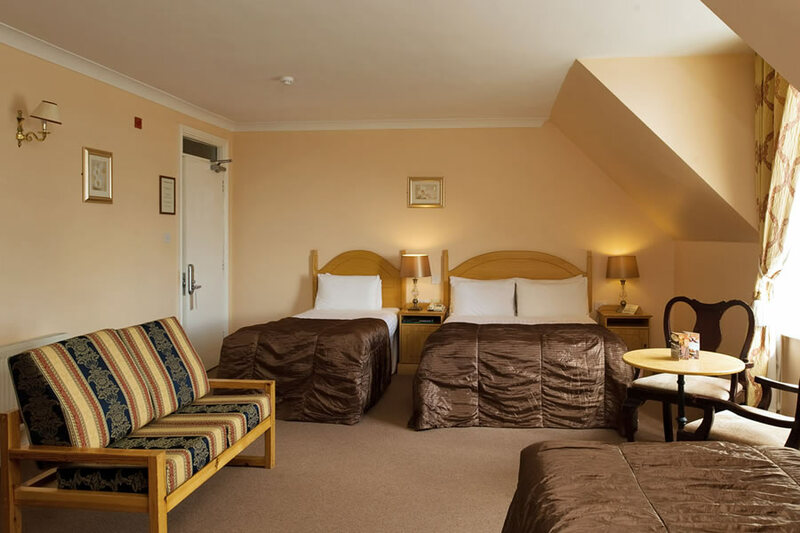 Where success meets comfort, luxury & excellence in service, the hotel provides fast & easy access to all the magic that West Clare has to offer. This Beautiful area is renowned for its world famous Cliffs of Moher and an abundance of other cultural attractions & fascinating history. Situated in the heart of the magical West of Ireland, County Clare is renowned for its great beauty, activity and history and for its wealth of great visitor attractions and entertainments. Stayed three nights midweek could not fault this hotel in any way. Great food,service and staff extremely friendly could not do enough for you. Looking forward to a return visit soon. Lovely warm hotel,food lovely,quiet room,music in bar Saturday night,beach ten mins walk,had a lovely break for one night. Really enjoyed our stay. Lovely staff, food excellent and room was nice and comfy. Already looking forward to a return visit! We found the hotel to be welcoming and had a very pleasant mid week break. The food was very very good and the service efficient and thoughtful. Very well situated on Spanish Point it has easy access to all routes. We would highly recommend a stay there. A big thank you to all the staff who work extremely hard and are very efficient. A special thank you to Danielle for her pleasant cheery chat each day. enjoyed our stay at Bellbridge house hotel . staff very nice and bed rooms good and big . had dinner and really enjoyed . great location . Wonderful Hotel. Staff absolutely lovely. Rooms beautiful. Meals very good, plenty of food on the plates. We had a wonderful time there and will be back again in the near future. Food was excellent. Wine was good (we had only house wine). service was very good. Access to room (35) Was restricted by a wardrobe placed too near the room access door. It was difficult to bring a suitcase into the room because of lack of space. Local ammenities other tha hotels (2) and golf club non existant. Very nice hotel. Situated a short walk to beach. Very friendly staff. Rooms were lovely, clean and comfortable. Only drawback was no wifi in rooms. Would recommend this hotel. Would definitely return to this hotel in future. We had requested a spacious quiet room when booking and that's exactly what we got. It's a nice old hotel so it has retained it's charm. The bathroom was good and big and had a bath too. We didn't eat in the hotel apart from breakfast which was good and plenty of everything. The staff were lovely and friendly. The location is perfect as a getaway, the beach is right across the road and would be an ideal base if touring around the coast of Clare. Superb hotel-fantastic food and really professional staff. I would really recommend this hotel. In fact, my wife and I stayed an extra night. Lovely range of wines. Stayed in the Bellbridge House Hotel for 1 night in March. Hotel was nice and the staff friendly. We opted to have dinner included in our package for convenience but i was disappointed at the range off food available on this. We changed our minds and ordered from the bar menu instead and paid the extra charge. The food was OK but i've had better. Was also a bit overpriced for what we received and the waitress was a bit unfriendly! We paid the extra at the bar after we had ate but were charged for it again on our bill. I was annoyed with this but the lady i spoke to sorted this out very quickly and i was given a refund for the amount i was overcharged. The room was nice and clean but a bit on the small side with a very uncomfortable bed. The walls were like paper and we could hear EVERYTHING that was going on in the room next to us. Not nice. We also wanted to have an early night as we had been on the road all day and had just dozed off when we were woken by the band playing in the bar. This is a nice hotel with nice staff but i wouldn't stay here again as it was far too noisy for me! Clean rooms with nice ambiance and food. One thing that is a real stickler with me is the lack of Wifi. I just can't understand how it's not an absolute basic - considering even the tourists that would visit the area to plan their trips or surfers trying to check charts for the few days. Other than that the bath is a nice touch. Nice staff. Hotel s great, service is very helpful, delicious food, clean room, just perfect + very nice location. WE WILL BE BACK AGAIN !!! 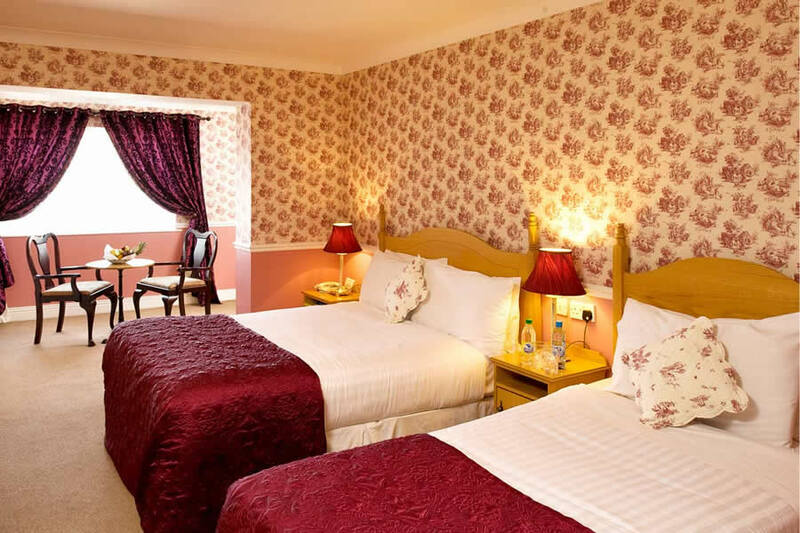 A great & friendly place - fantastic clean bedrooms -excellent food ( Breakfast & Dinner) !!! A fabulous surprise for us and our friends from Germany, Great value for money - HIGHLY RECOMMENDED !!! Excellent bedroom and excellent food. There was a bit of a mix up on checking out as they tried to charge us 60 euro for the meal (not realising that we were on a B&B and 2 Course dinner rate), but I spotted it in time and they re-adjusted our bill. Staff very friendly and we had a lovely evening with music in the bar. Would definitely go back again. Very pleasant hotel and very nice and friendly staff!!! Beautiful surroundings!! I had a very relaxing stay in the Bellbridge House Hotel with my daughter. The room was spacious and comfortable, the food was excellent for dinner and breakfast had a good variety of choice. Complimentary paper is a welcome touch. The staff were efficient and courteous too. This hotel has character and warmth I look forward to a return visit. Belbridge Hotel was excellent. However I could only spend one night(Friday night) in the hotel as the hotel was not open on the Thursday. 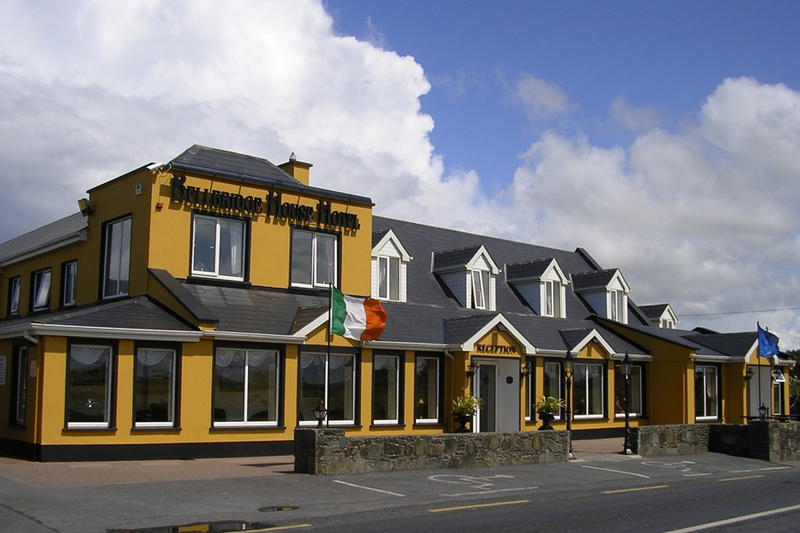 Consequently I had to transfer to the Atlantic Hotel Lahinch for the first night of my stay which was quite inconvenient. Enjoyed a lovely night away from the kids in the Bellbridge Hotel. Meal was very tasty and up to the Bellbridge's usual high standards as we have dined there many times before when spending the summer holidays in a nearby mobile home site. Our room had a lovely view of the ocean & the only thing that I could think to watch out for was the lack of heating control - we had to phone down to reception to have it turned on which they kindly did but then we couldn't turn it off! All in all, I would definitely recommend the Bellbridge. Room very spaious ' Food fantastic 'Staff very friemdly ' Lovely hotel ' Hoping to return in the near fvture '!!!! Everything was excellent during our stay in the Bellbridge House Hotel. The food was absolutely beautiful. We would definitely stay here again and we would have no hesitation in recommending the Bellbridge to anyone. Lovely hotel, was there for a friends wedding and stayed the night before aswell, great atmosphere in the bar and staff were friendly, only thing is the price of drink was a bit expensive, Malibu and coke was €7.50, pints were €4.80 and a large Cider was well over the €5 mark, for a hotel on the country the charge city prices. We really enjoyed our stay at the Bellbridge House Hotel - check in was seamless. Everything was ready and our requests were completely accommodated. All the staff were very friendly, efficient and more than accommodating with suggestions. There was a very good atmosphere and music on both Friday and Saturday nights were very good and enjoyable. We ate in the bar on the Friday but were able to choose from any of the available menus. We had our meal in the Restaurant on Saturday and the food and choice were excellent. This break was great value for money, a lovely location, fantastic food and service, staff were exceptional and we look forward to our next vist. We had a very pleasant stay here. The staff were very pleasant, friendly and helpful. A great hotel to stay in. We enjoyed everyt minute.............food very good, staff very friendly and professionals, very clear and rooms very comfortable and spacious. In addition great beach and coastal walks along wild seascapes. Would highly recommend for a weeke-end getaway. Excellent food and service. Lovely room. Had a great time at Bellbridge Hotel, great location in touring west coast and the food is excellent. Had a wonderful stay at the Bellbridge House Hotel. Rooms, staff and food excellent. Situated in a lovely part of the country. Would definitely return. Very good hotel. Comfortable. Friendly staff. Clean rooms.